This summer I have my first visit to Iceland. It always deemed to me a place to be. Still not sure about the long, dark winters (+: polar lights, -: loads of snow). Due to short time planning and just a few cheap flights it got me here just a couple of days. But with some clever planning and people showing me around here I saw quite a few places. Besides amazing landscapes it was interesting, to have a closer watch on the other people traveling. With a bus going from Reykjavik to Akureyri stopping at some interesting points and picking up/dropping passengers along the route we had a big variety of nations and people visiting this country. A first smile got me getting out at a hostel on the way, seeing a guy, approx. 50 years, long thinned and gray hair and a beard which was never cut or tamed in a form. He wore Birkenstock sandals and a pullover with the typical islandic pattern. Looking as thin as his hair. Not of this thick warm islandic wool as I saw these in the local shops. Standing behind him in the toilet queue got me smiling, because I noticed the H&M sign on his pullover. So this poor guy spend a lot of time decorating himself as an island fanboy. But by using cheaper and less worthy derivates. 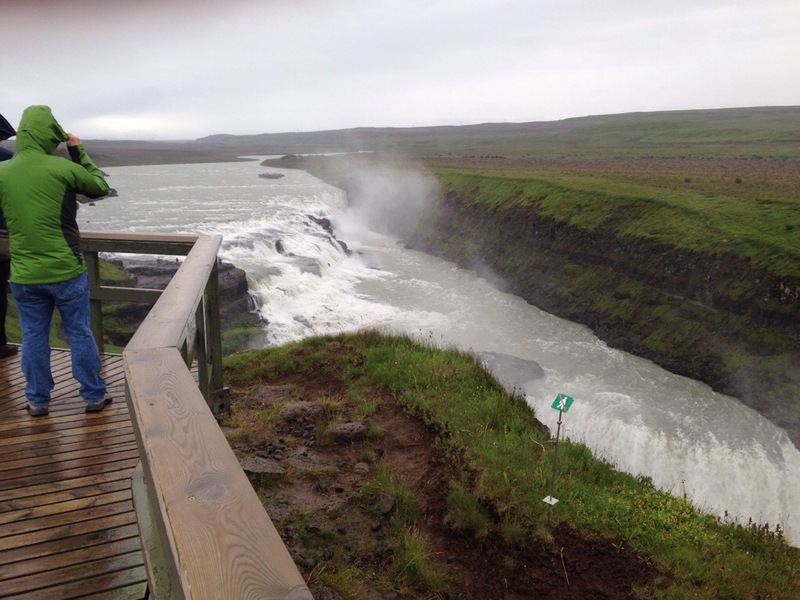 Then anorher stop as the Gullfoss. A mighty waterfall with so many tons of water dragging into the deep, that the air gets drawn with it - creating anunbeliavable strong wind, the more, the closer you climb down. I first took a look down, watching some raincoats of other people suddenly get pushed horizontal, whilst people struggling to close these. I saw other tourists, watching the same, opening up their umbrellas, getting further down, getting their umbrellas destroyed and fleeing upwards again. In fact, I spent more time watching other tourists, than the waterfall. For others: it is wet & windy. Water gets almost powderized by the sheer power of that fall and rising into the wind. If you get down, wear rain clothes or get wet. Don't be such a sissy complaining about broken umbrellas. Posted in Uncategorized. 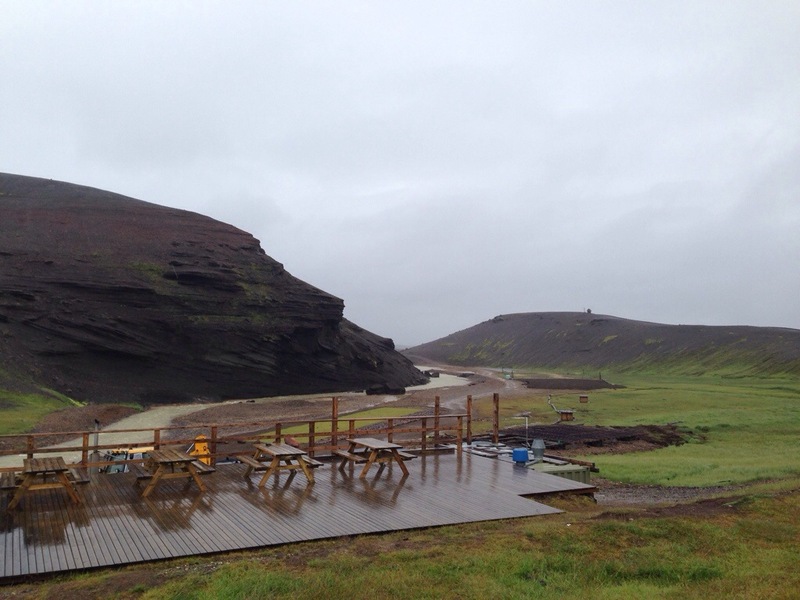 Tags: Iceland, Island, Tourismus on July 21, 2014 by Bugspriet.